What do you wish someone would have told you about starting your business and life as a health entrepreneur before you began? Let me ask you something else….would you have believed them even if they did give it to you straight? I’ve known this week’s guest for many years and I was excited to speak to her about the evolution of her career in the health field and how it’s changed and evolved. 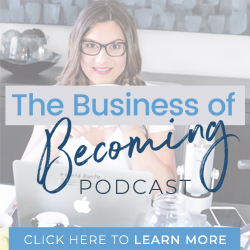 Lianne and I dive deep into some of the challenges that entrepreneurs face when starting a business – and really dissect one big challenge that she faced – change. We also talk about playing the long game and what to do when you feel like throwing in the towel. It’s rare to hear about the “darker side” of building a business – all the hours, energy, time, effort, love, and tears that go into starting your own company. You find your passion, find your message, and want to share that with as many people as you can – but in reality you have to wear many hats and do tasks that you might not be well prepared for or even really want to do. You might not always be doing exactly what you thought you would be, and that’s okay. Just as we change as individuals, our business visions change as we go through different seasons of life, and the marketplace itself also changes. 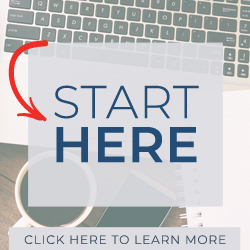 Lianne started her business before the internet had really taken off, but as the world changed to embrace and rely upon the internet so much – she knew that she also had to update how her business ran and began taking more things online. If you can’t adapt and change your business as the world around you and marketplace shifts – then your business won’t survive. I loved hearing Lianne’s story and am certain you’ll benefit from her experience and expertise. I can’t wait to hear what connects most with you! Lianne Phillipson is a registered nutritionist, bestselling author, a weekly expert on the Jerry Agar show on NewsTalk1010 radio show, TV regular on City TV’s Breakfast Television, CP24, CTV’s Your Morning, CHCH Morning Live, CTVnews.com, and a go-to expert for nutrition quotes, ideas, tips, and articles. She’s also a mom to two super healthy, gorgeous daughters and helps thousands of families to make a healthier choice, one mouthful at a time. Her book, Sprout Right – Nutrition from Tummy to Toddler (Penguin) has sold more than 14,000 copies all over the world. Connect with Lianne on her Sprout Right website or her Personal website. Or find her on social media via Sprout Right Instagram, Personal Instagram, Twitter, Sprout Right on Facebook and Lianne’s Professional Facebook Page. Have you faced evolutions in either your personal life or business? How did that change affect your business, content, or sales? I would love to hear all about it and I’m sure others would too. Comment below and share your story or visit me over on Instagram which is currently my favourite way to connect. This was so reassuring! My holistic health business has evolved so much over the past nearly 40 years. In the early to late ’80’s, before the internet, it was easy to fill a live class to the point of having a waiting list. Like Lianne and Lori, I’ve had to ‘pivot’ (I like that word!) to stay in business. I’m so glad to know it’s the economy, modern high-tech lifestyles, my personal growth, and not necessarily something negative I’ve done, that has created the need to change. Thank you for sharing Judith and hooray! It was absolutely our intention with this conversation to normalize the constant change and evolution.